I had the fortune to travel to Australia with Hiram College in 1999. We spent 3 months touring the eastern half of the continent, traveling in a motorcoach complete with a modern day chuck wagon trailing behind. What a trip. I even created a website all about it, and it really hasn't been touched since 1999. Go there soon, because Yahoo! is eliminating their free Geocities hosting. 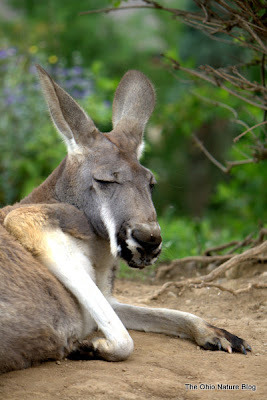 Although it was ten years ago, whenever I visit the Australia area at the Columbus Zoo, I'm brought right back to the home of Kangaroos and Koalas. 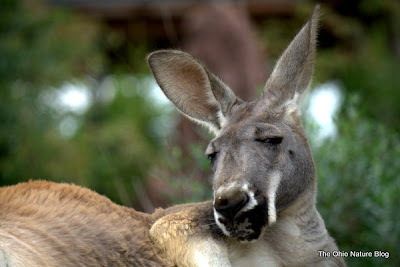 The kangaroo pictured is one of the big reds, Macropus rufus, which live in the interior of the country. Reds are so common that many people in the outback place large metal bars across the fronts of their cars, almost like an old cow catcher, to protect their cars from collision. Our bus hit several on our trip, unfortunately. 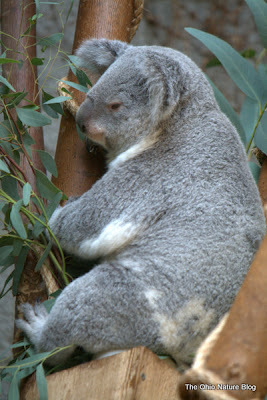 A much more rare Aussie animal, and one that I never saw in the wild was the Koala, Phascolarctos cinereus. 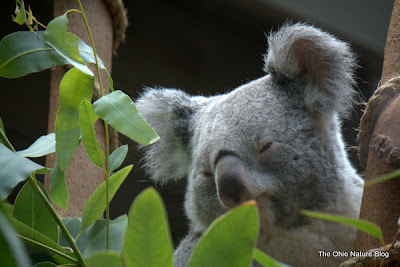 Koalas are from the forested regions of southeastern Australia. We did see them in sanctuaries, but we didn't spend enough time in the forested regions to see any wild populations. The history of Koala-human interactions is quite interesting- during the 19th and early 20th centuries, koalas were hunted for their fur, and eventually large culling programs were initiated. Hard to believe that such a cute and cuddly looking creature has had such a complex history with people. Oh yeah, back to my title. The Aussies really do greet each other with "G'day". It's not just a joke or a stereotype. Here in America, guys like me talk about our friends or buddies, but if you're an Aussie and you're about to go have a VB (Victoria Bitter, great beer, extremely rare in the U.S.) with your buddies, you'd call them your "mates". That concludes the images from the Columbus Zoo series. I needed some time away from blogging on Ohio nature for a little bit, but we've recently had plenty of interesting natural encounters, look for them this upcoming week. Great photos! Sounds like a problem with the roads and roos too bad. I always thought both these animals were just lovely to look at. And sadly they are not thought of so well, I am told, by locals. Your cow catcher reminds me of that. 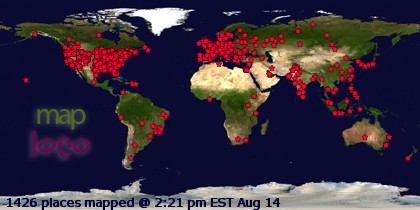 I did have a colleague teacher who always spent his summer vacations hitchhiking across the continent. I never went with him though I thought about it. I just never get much of anyplace nowadays due to my breathing problems. If I could I would go to a zoo just to see what I might be able to photograph. Your photographs of these animals are stunning. I must say that I envy you the butterfly garden plants for next year. I just gradually selected mine by trial and error and some work very well. I tried Milk Weed but they are extremely invasive and populate a space by underground rhizomes. I had them coming up in the middle of boxwood. So I got rid of them. Great zoo pics, looking forward to seeing some Midwest nature photos. I'll be back! Tom: The animals photos are great and Australia has such a large diversity of different animals.